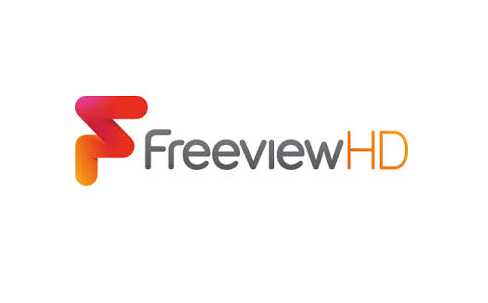 UPDATED | An increasing number of Freeview users are complaining about sound problems on the platform's HD service. What started off as a trickle of complaints to a516digital around the middle of March, the trouble, which affects viewers trying to watch some of the UK's most popular channels including BBC One HD and ITV HD, has now generated a number of threads on internet forums (here and here). The sound problems appear to be mostly affecting certain Samsung branded HD TVs sold in recent years, which can result in viewers losing the sound until they switch over to a standard definition channel and switch back again. There are a few reports suggesting a small number Toshiba devices are also affected. 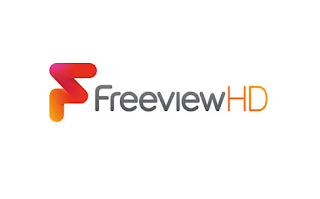 It's only apparent on services broadcast by the BBC on Freeview HD, including BBC One HD and BBC Two HD as well as ITV HD and Channel 4 HD, which are broadcast on BBC capacity. BBC Four HD and BBC News HD are not affected by the fault; these channels are broadcast on commercial capacity. Some users have been claiming on internet forums that they have been told by staff at the Freeview Advice Line that the problems could be caused by 4G mobile interference, despite the fault bearing none of the main hallmarks of 4G interference, and occuring all over the UK, regardless of the local Freeview transmission frequencies, which have a bearing on potential 4G interference. Although there's no indication of a fix any time soon, since this article was first published, the BBC has issued a statement confirming it is aware of the problem and "working with manufacturers to identify the problem". Reception problems can be reported to the BBC Reception Advice line on 03700 100 123 or Digital UK/Freeview on 03456 50 50 50. Samsung customer service is available on 0330 726 7864. I had loads of sound problems (dropouts) with my Samsung E series, which was most obvious when the stream switched dynamically between interlaced and progressive. Subsequent updates gradually fixed the issue but it took Samsung the best part of the year to fix. Most updates required a USB update downloaded via a computer rather than their own internet based built in update mechanism. Most people wouldn't do this. I would bet this could somehow be related, albeit loosely. I have had a new aerial (4G interference protected) fitted but problem persists.Samsung say they are working on the problem with no idea of a timescale for the solution. "We believe we have identified the problem which is causing sound issues on certain televisions,when tuned into services on the BBC’s HD multiplex. While we believe our broadcasts are compliant with the relevant international specifications, we think we can make some changes that will help the affected televisions. "The change will need testing before a roll-out can begin and we will update this page when we have more details. "We continue to work closely with the device manufacturers on the underlying problem." "Thank you for bearing with us and we are sorry for any inconvenience"
Thank you for this release from the BBC a month ago. I've got a Toshiba L6353 smart T.V. with the muted sound problem recurring on the BBC One HD, BBC Two HD as well as ITV HD and Channel 4 HD channels since earlier this month. I will spread this forum and announcement around the web - particularly to Toshiba for their comments. Anybody else having the problem with the sound stopping on certain Freeview HD channels (BBC1HD, BBC2HD, ITVHD and Channel 4HD? Is there any update on a fix with this problem ,yet ?